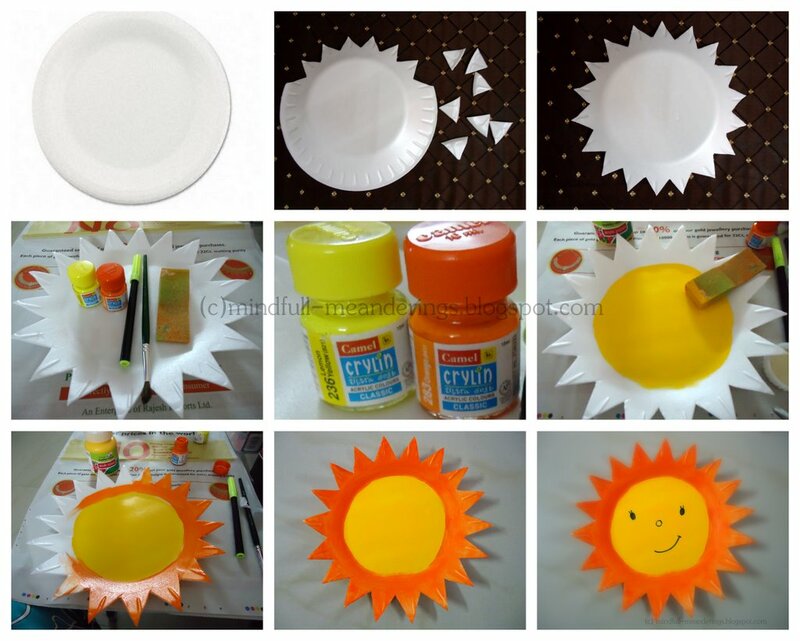 Here’s a simple way to use thermocol plates to make stunning yet easy crafts your kids would love to paint. And they get done in a giffy too. 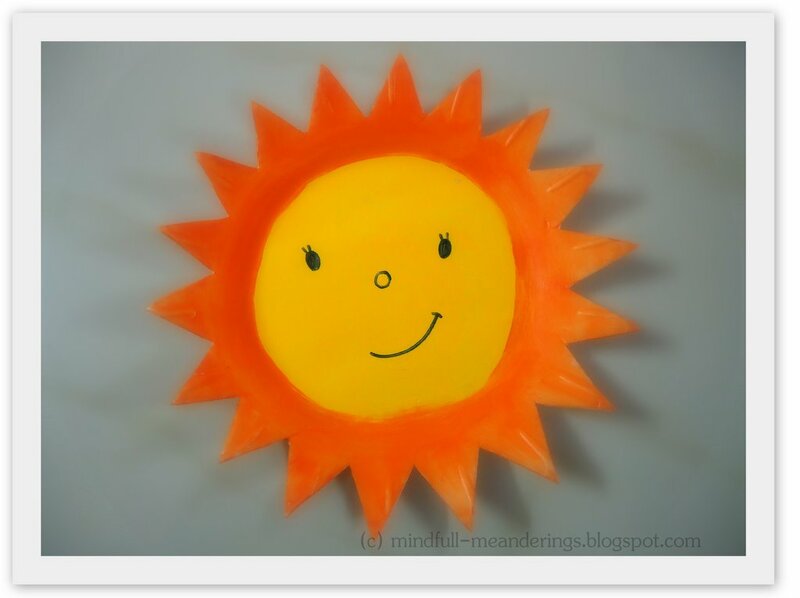 Presenting Thermocol wall decor for your kids room. Using a sponge, directly apply yellow at the center of the plate.Let dry. Then apply Orange along the edges. Draw eyes, nose & a mouth using a black sketch pen. Optional : Embellish the corners with tiny bells. 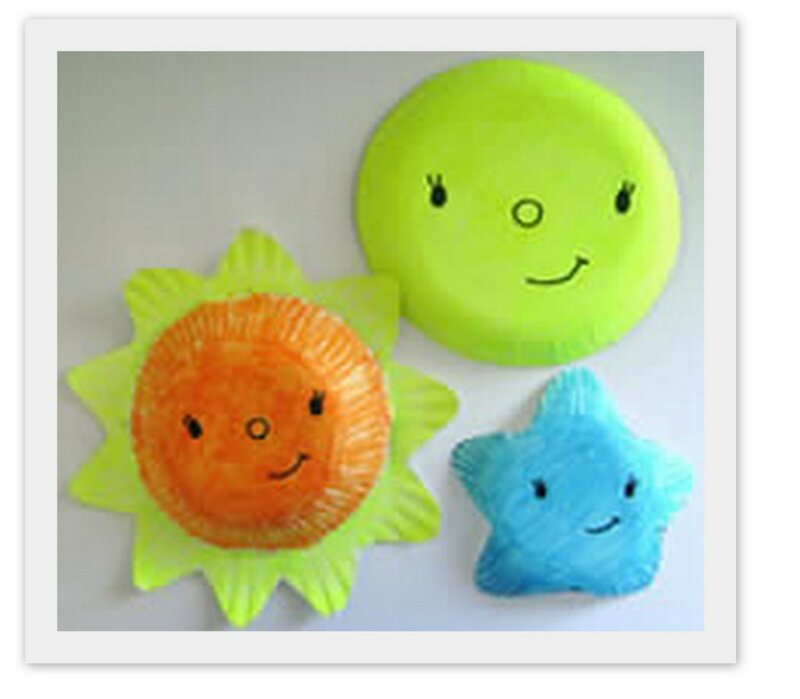 You can also try making a sun, moon & star. Let ur child choose the color they like. Hope you have as much fun as I did. Awesome crafts Shruti !! I am coming here after so long !! Haven’t beena ble to make any of the crafts but really liked all the ideas that are pouring for your theme !! @Uma & dil se: I have a free giveaway goin on. check out my sidebar. @swaram: I have sooooooooo many ideas. Just not sure if i’ll b able to make all. @Dil se 🙂 a biggggggggg hi to u. This is sooper cute :)lovely!! Shruthi, this is so cute! sunflower makes us feel bright! Will try this with my daughter…great idea for kids craft! So cute! A great way to re-use thermocol plates. It looks beautiful. Such a cool idea to keep kids engaged, thanks for linking in the carnival.